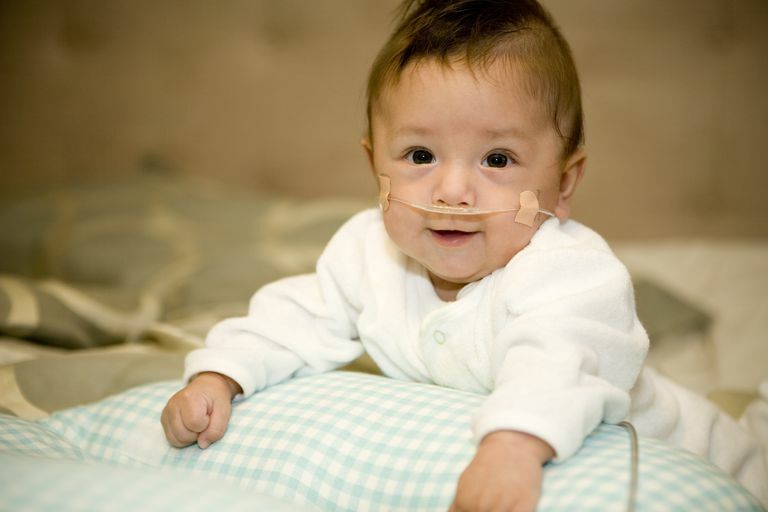 Understanding and preventing RSV in premature babies is an important part of bringing a preemie home. NICU discharge is a joyous occasion, no longer do parents have to follow the routines of the hospital's special care nursery or neonatal intensive care unit (NICU) or be separated from their baby. Most importantly, going home means that baby has made it through all of the immediate health problems caused by being born early. Once parents bring baby home, keeping him healthy becomes the major goal. During the fall and winter months, preventing respiratory syncytial virus (RSV) is a preemie parent’s biggest challenge. RSV is a common virus in the fall and winter months. In fact, it is the most common cause of upper respiratory infections in infants and children. The majority of children have their first RSV infection by age two. Most children who have RSV recover on their own. But 125,000 children per year are hospitalized with RSV infection, and 1% to 2% of those children die. In preemies, RSV is a major health concern. It is the number-one cause of sickness and re-hospitalization for preemies, and prematurity is the greatest risk factor for severe RSV infection. In most children, RSV looks like the common cold. Infants and children with RSV may have a stuffy nose, cough, fever, and malaise. If your baby shows any signs of these symptoms, you should seek immediate medical attention. Hand washing is the best way to prevent RSV infection from spreading. The virus can live on hands and clothing for up to 30 minutes. It is spread through the air when people with a virus cough or sneeze, or through contact with items that have the virus on them. Some of these risk factors can’t be changed, so parents should focus on the ones that can. In the first year of life, especially during the fall and winter, try to keep your preemie out of daycare environments. Make school-aged children wash hands and change clothes when they come home, avoid crowds, and don’t smoke. If you do smoke, smoke only outside and wear a jacket that’s used only for smoking and is removed when you come inside since smoke particles stay on clothing. Your baby was born at 28 weeks or less and will be 12 months or younger at the start of RSV season. Your baby was born between 29 and 32 weeks and will be 6 months or younger at the start of RSV season. Your baby was born between 32 and 35 weeks, will be 3 months or younger at the start of RSV season, and either attend daycare or has young siblings living in the home. Synagis can prevent up to 55% of preemie hospitalizations due to RSV. It reaches its peak effectiveness by the second dose, so talk with your doctor early in the fall to find out when RSV season is anticipated in your area. Austin, RN BSN, Jennifer. “Preventing Respiratory Syncytial Virus in Homebound Premature Infants.” Home Healthcare Nurse. 2007;429-432. Medline Plus Medical Encyclopedia. "Respiratory syncytial virus (RSV)"
Synagis (Palivizumab). “Potential Candidates for RSV Prophylaxis."